Does DowDuPont Inc. (NYSE:DWDP) represent a good buying opportunity at the moment? Let’s briefly check the hedge fund interest towards the company. Hedge fund firms constantly search out bright intellectuals and highly-experienced employees and throw away millions of dollars on research activities, so it is no wonder why they tend to generate millions in profits each year. It is also true that some hedge fund players fail unconceivably on some occasions, but their stock picks have been generating superior risk-adjusted returns on average over the years. DowDuPont Inc. (NYSE:DWDP) has seen a decrease in hedge fund sentiment in recent months. DWDP was in 69 hedge funds’ portfolios at the end of September. 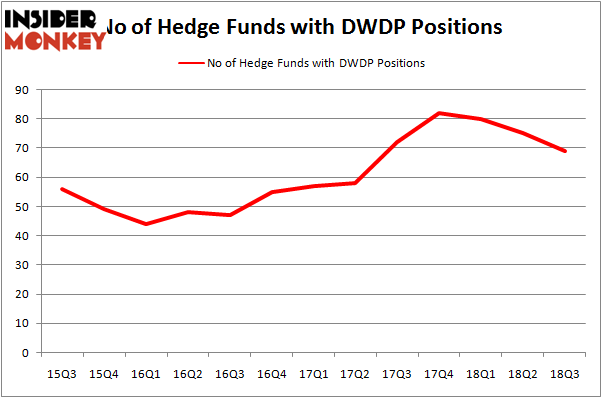 There were 75 hedge funds in our database with DWDP positions at the end of the previous quarter. Our calculations also showed that DWDP is among the 30 most popular stocks among hedge funds. Why do we pay any attention at all to hedge fund sentiment? Our research has shown that hedge funds’ large-cap stock picks indeed failed to the beat the market between 1999 and 2016. However, we were able to identify in advance a select group of hedge fund holdings that outperformed the market by 18 percentage points since May 2014 through December 3, 2018 (see the details here). We were also able to identify in advance a select group of hedge fund holdings that’ll significantly underperform the market. We have been tracking and sharing the list of these stocks since February 2017 and they lost 24% through December 3, 2018. That’s why we believe hedge fund sentiment is an extremely useful indicator that investors should pay attention to. Let’s take a gander at the fresh hedge fund action regarding DowDuPont Inc. (NYSE:DWDP). What does the smart money think about DowDuPont Inc. (NYSE:DWDP)? At Q3’s end, a total of 69 of the hedge funds tracked by Insider Monkey were bullish on this stock, a change of -8% from the previous quarter. By comparison, 82 hedge funds held shares or bullish call options in DWDP heading into this year. So, let’s review which hedge funds were among the top holders of the stock and which hedge funds were making big moves. The largest stake in DowDuPont Inc. (NYSE:DWDP) was held by Third Point, which reported holding $781.4 million worth of stock at the end of September. It was followed by Viking Global with a $668 million position. Other investors bullish on the company included Glenview Capital, OZ Management, and Suvretta Capital Management. Since DowDuPont Inc. (NYSE:DWDP) has faced falling interest from the aggregate hedge fund industry, we can see that there were a few money managers who were dropping their positions entirely last quarter. At the top of the heap, Doug Silverman and Alexander Klabin’s Senator Investment Group dropped the largest stake of the 700 funds monitored by Insider Monkey, worth about $191.2 million in stock. Dmitry Balyasny’s fund, Balyasny Asset Management, also cut its stock, about $144 million worth. These moves are interesting, as aggregate hedge fund interest dropped by 6 funds last quarter. Let’s also examine hedge fund activity in other stocks similar to DowDuPont Inc. (NYSE:DWDP). We will take a look at AbbVie Inc (NYSE:ABBV), International Business Machines Corp. (NYSE:IBM), NIKE, Inc. (NYSE:NKE), and Amgen, Inc. (NASDAQ:AMGN). This group of stocks’ market caps are similar to DWDP’s market cap. As you can see these stocks had an average of 42.75 hedge funds with bullish positions and the average amount invested in these stocks was $2522 million. That figure was $4551 million in DWDP’s case. NIKE, Inc. (NYSE:NKE) is the most popular stock in this table. On the other hand AbbVie Inc (NYSE:ABBV) is the least popular one with only 40 bullish hedge fund positions. Compared to these stocks DowDuPont Inc. (NYSE:DWDP) is more popular among hedge funds. Considering that hedge funds are fond of this stock in relation to its market cap peers, it may be a good idea to analyze it in detail and potentially include it in your portfolio. Honeywell International Inc. (NYSE:HON): Are Hedge Funds Right About This Stock... Molson Coors Brewing Company (NYSE:TAP): Are Hedge Funds Right About This Stock... Is Oracle Corporation (NASDAQ:ORCL) A Good Stock To Buy? 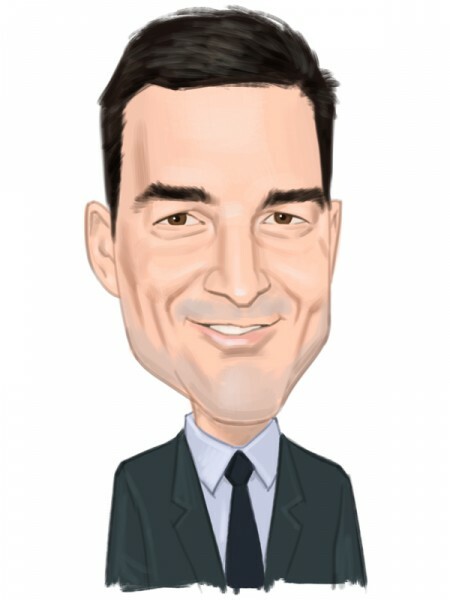 Here is What Hedge Funds Think About Kennedy-Wilson Holdings Inc (NYSE:KW) Is Sony Corporation (NYSE:SNE) Going to Burn These Hedge Funds? Is Newmont Mining Corp (NYSE:NEM) A Good Stock To Buy?